Valtin, Jan (aka Richard Julius Herman Krebs). New York: Alliance Book Corporation, 1941. First edition of Valtin’s bestselling autobiographical narrative. Octavo, original blue cloth. 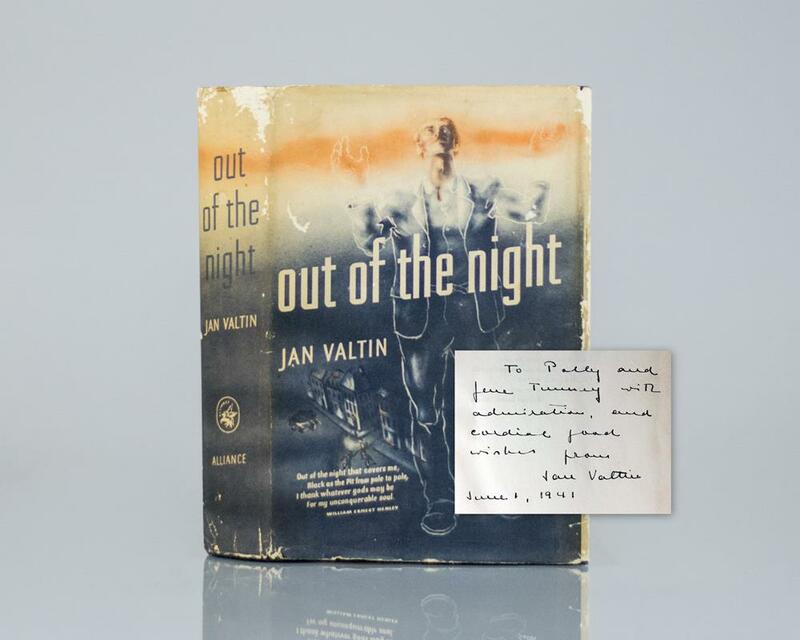 Inscribed by the author, “To Polly and June _____ with admiration and cordial fond wishes from Jan Valtin June 1, 1941.” Near fine in a very good dust jacket. Jacket art by George Salter. A bestseller in 1941, described as". . . full of sensational revelations and interspersed with episodes of daring, of desperate conflict, of torture, and of ruthless conspiracy . . . It is, first of all, an autobiography the like of which has seldom been." The son of a seafaring father, Richard Julius Herman Krebs, a.k.a. Jan Valtin, came of age as a bicycle messenger during a maritime rebellion. His life as an intimate insider account of the dramatic events of 1920s and 1930s, where he rose both within the ranks of the Communist Party and on the Gestapo hit list. Known for his honesty and incredible memory, Krebs dedicated his life to the Communist Party, rising to a position as head of maritime, organizing worldwide for the Comintern, only to flee the Party and Europe to evade his own comrades attempts to kill him. As a professional revolutionary, agitator, spy and would-be assassin, Krebs traveled the globe from Germany to China, India to Sierra Leon, Moscow to the United States where a botched assassination attempt landed him a stint in San Quentin. From his spellbinding account of artful deception to gain release from a Nazi prison and his work as a double-agent within the Gestapo, to his vivid depiction of a Communist Party fraught with intrigue and subterfuge, Krebs gives an unflinching portrayal of the internal machinations of both parties. Writing at age 36 under the name Jan Valtin, Krebs lays bare a young life filled with idealism and devotiondisillusionment and lossin a world full of revolutionary promise gone immeasurably wrong. "An exciting, real book without a trace of unnecessary melodrama" (H.G.Wells). New York: Alliance Book Corporation, 1940. First edition of Valtin’s bestselling autobiographical narrative. Octavo, original blue cloth. Inscribed by the author on the front free endpaper in the year of publication, “For Ben Mandel, who helped. 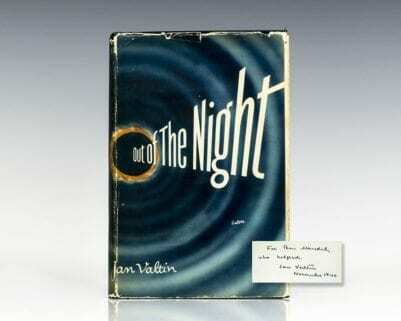 Jan Valtin November 1940.” Near fine in a very good dust jacket. Jacket art by George Salter.